Tomorrow morning I will be getting my first medal of the year when I cross the finish line of the Los Angeles Chinatown Firecracker Run’s 30-Mile Bike Ride. It’s my first time riding in this event so I’m pretty excited yet somewhat freaked out about it since I’m roaming into unknown territory. I mean, I know L.A. but this is nothing like riding in Long Beach like I have for the past 3 years (and again this year): no street closures, a lot more hills, etc. But regardless, I’m committed to it and I can’t wait to see what challenges lie in store for me. 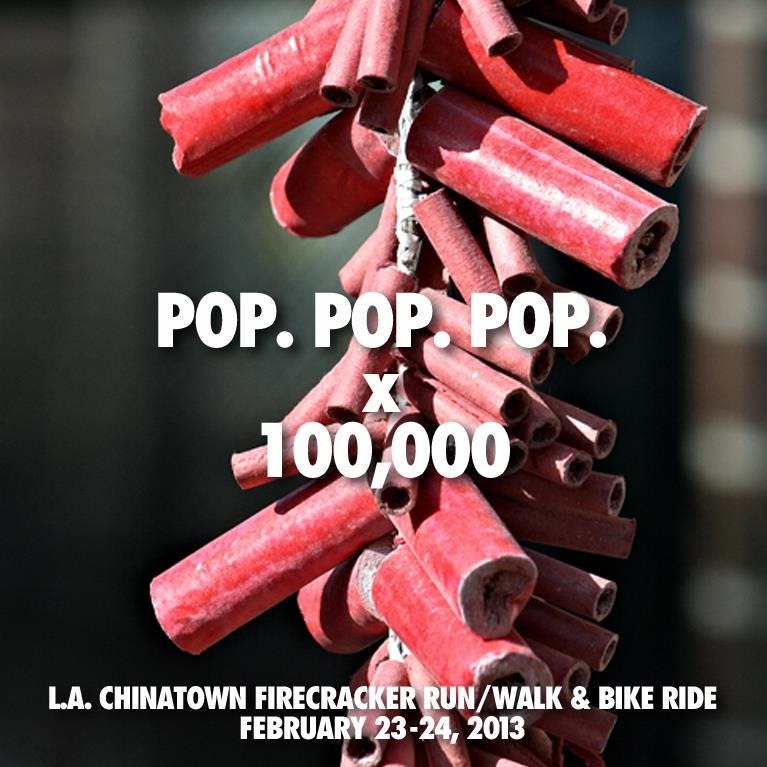 But what’s going to be great about Saturday’s event is what will take place before it: the lighting of 100,000 firecrackers right in the center of Chinatown. It’s a pyromaniac’s dream and something that can only be done legally in Los Angeles during events in Chinatown since fireworks are banned within the city. What makes that so great? Well, who doesn’t like firecrackers? Oh, you know what the heck it’s implying and what it actually means. Don’t act like you don’t. I figured I had nothing to lose so I went ahead and changed my profile picture. So imagine my surprise this morning when I read one of their Wall posts that was congratulating the winners of the contest, one of whom was me. Yes, that’s right, people. I was one of the lucky 3 riders who was selected to help light the 100,000 firecrackers and I can’t tell you how happy my inner childhood pyromaniac is. This is without a doubt a once-in-a-lifetime opportunity and I’m completely honored and stoked to have been chosen. This is taking tomorrow’s ride to a whole new level. I mean, come on. It’s called the Firecracker Run because the lighting of the firecrackers is a BIG part of the event, and I’m going to be a part of that opening ceremony. This is nuts. How did I get to be so lucky? Meh, I don’t care. All I know is that I’ll be 1 of the 3 lighting up those suckers tomorrow morning then hopping on the saddle to tackle almost 30 miles around Los Angeles. Videos and pictures will be posted Saturday. Stay tuned! This entry was posted in Blogging 365, Hobbies, Life and tagged 10k, 5k, bike ride, bike tour, califorina, chinatown, cycling, firecrackers, los angeles, running by Dave. Bookmark the permalink.